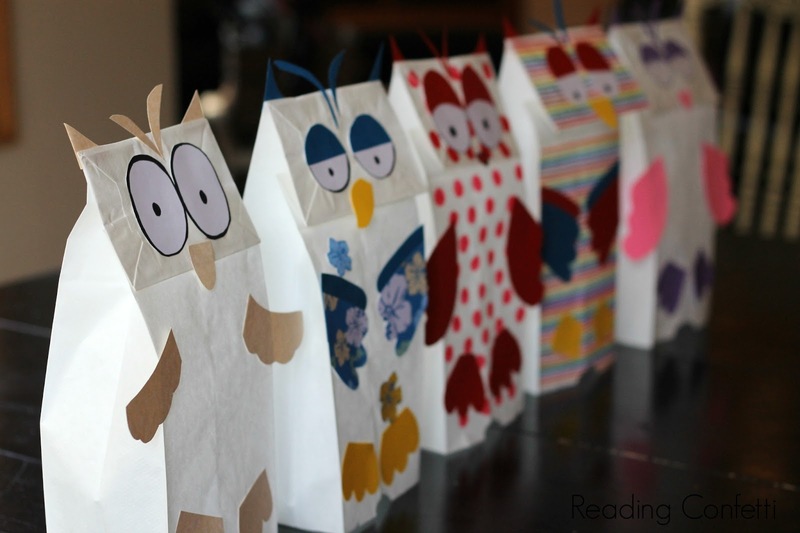 Usually we do book activities as an extension of the book, so we do the project after we've read it. 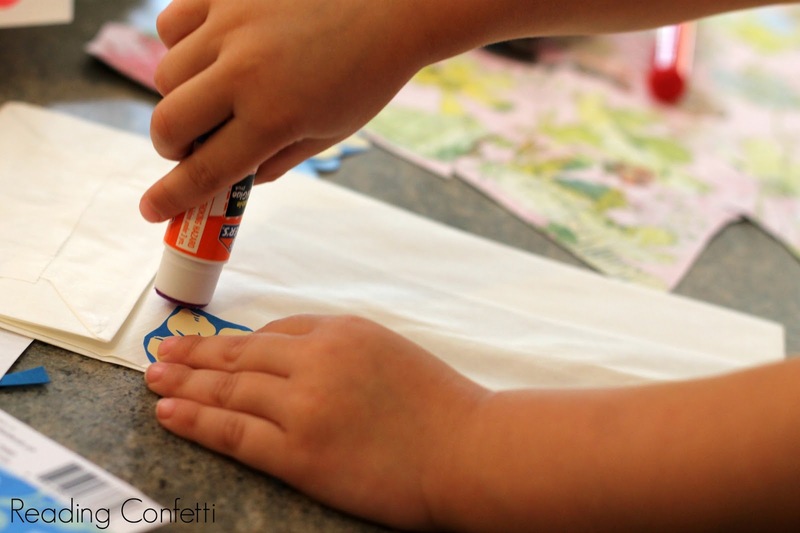 This time we did the craft first so we could use them to dramatize the story. 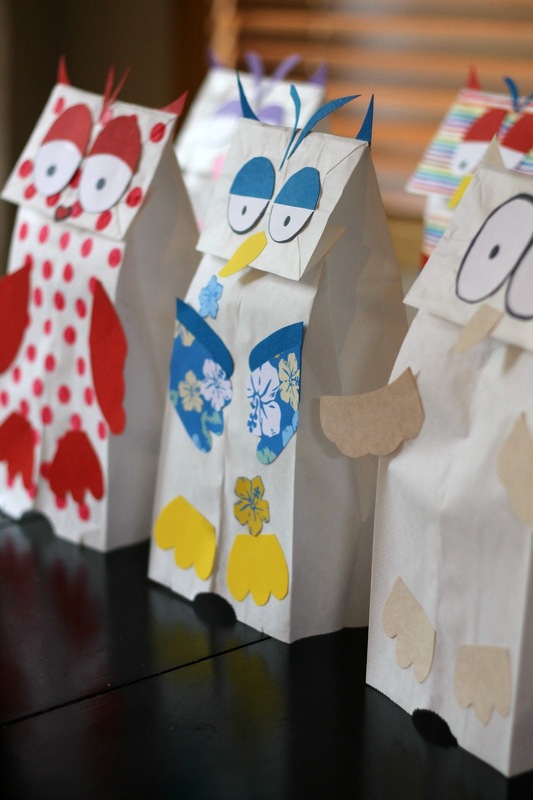 We went old school with some paper bag puppets, but I love how they turned out because to make them fit with our book, The Little White Owl, we had to make them as sparkly and glittery and flowery and as beautiful as possible. It was just my 3 year old and me. My five year old is nursing a hand that has several splinters caused by falling on the deck a few days ago. Apparently this injury allows him to climb the monkey bars at the park but prohibits him from crafting. 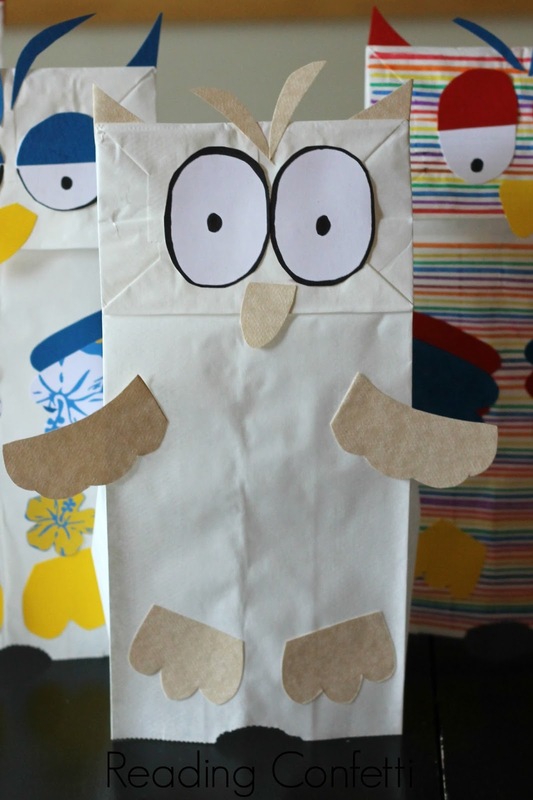 After we decorated our bags, we added our owl parts next. 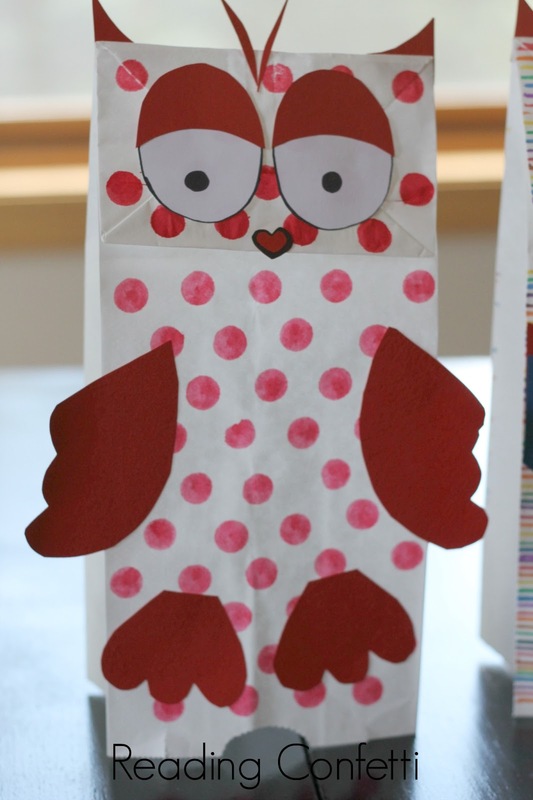 I cut eyes, wings, and feathers from scrapbook paper. When we were finished, we were ready to read our story. 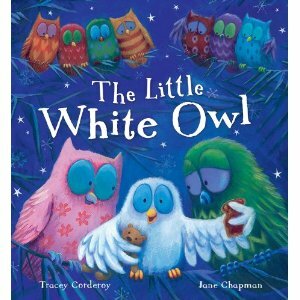 The Little White Owl by Tracey Corderoy is the story of a plain, lonely owl who goes off to see the world. 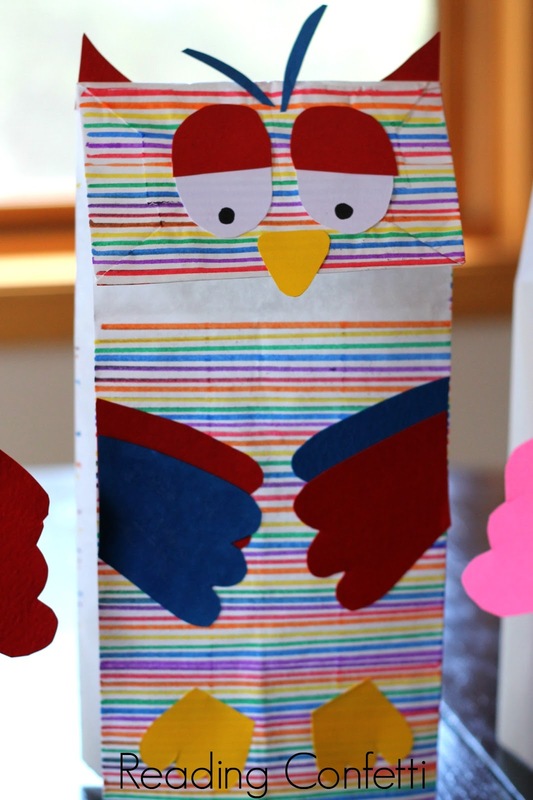 He discovers some beautiful colored owls who don't like him because he isn't pretty. When he starts to tell them his colorful stories, they see that his beauty comes from the inside. Did you make paper bag puppets as a kid? My son still loves this book from the first time you blogged about it. Now we need to make some paper bag owls to go along with it. I love paper bag puppets! And yours are gorgeous! Great activity! Already pinned so we can do it this fall!